This is another view of Mülheim’s Friedrichstrasse, but this time much further down at the point where it crosses the Wilhelmstrasse, on which the tram track follow in this older photo from September 2003. 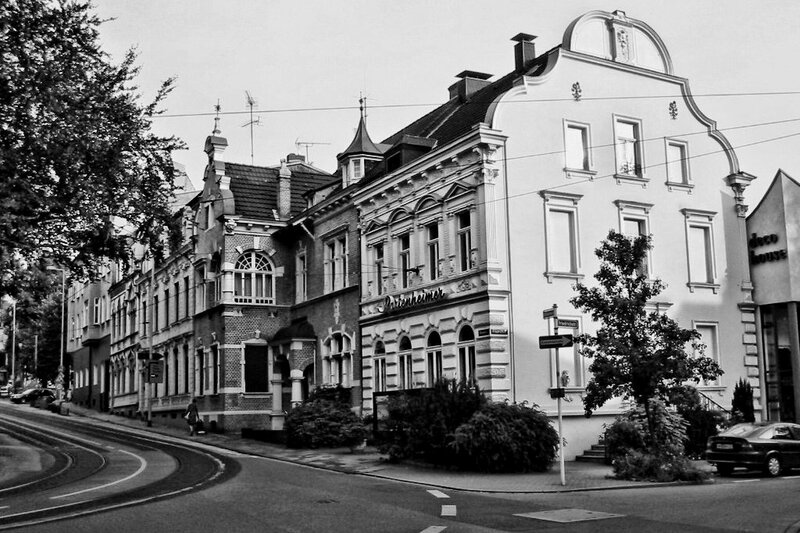 There are some lovely old houses on this corner and it’s not far from the river – if you go only about 200 meters down the Wilhelmstrasse, you’re right at the riverfront. I’m not entirely sure, but it’s possible that both streets were named after Kaiser Wilhelm II, whose full name was Friedrich Wilhelm Viktor Albert von Preußen.